Founded in 1985, Trees Atlanta has been working tirelessly to restore Atlanta, Georgia’s disappearing urban forest. They work to prevent and reverse tree loss, often creating new green space. Empowered by its community of volunteers, Trees Atlanta serves the metro Atlanta area, and has grown to become one of Atlanta’s most widely known and supported non-profit organizations. 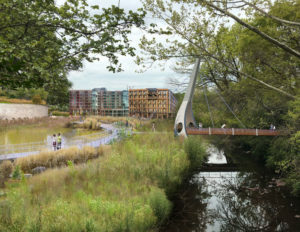 With the arrival of the city’s Atlanta Beltline project—the outgrowth of Georgia Tech grad student Ryan Gravel’s 1999 master’s thesis—Trees Atlanta now has a wealth of new opportunities to restore and reconnect urban greenspace in the entire Metro area. The Beltline’s progress has been reported on many times here in REVITALIZATION, starting with this 2015 article. 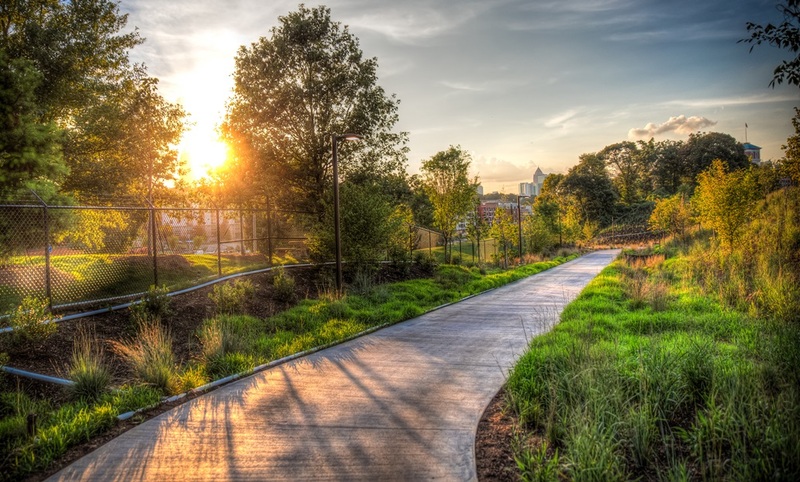 The Atlanta BeltLine is the most comprehensive transportation and economic development effort ever undertaken in the City of Atlanta and among the largest, most wide-ranging urban redevelopment programs currently underway in the United States. 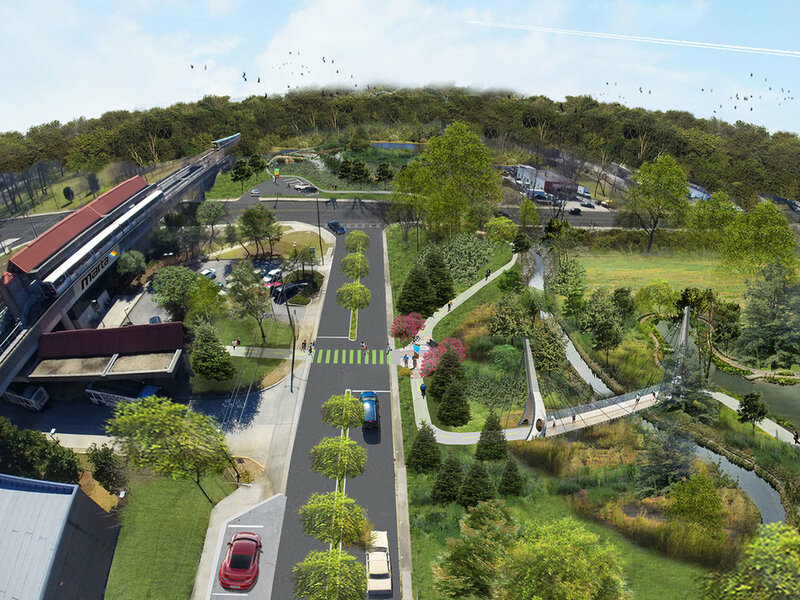 The Atlanta BeltLine is a sustainable redevelopment project that is transforming the city. It will ultimately connect 45 in-town neighborhoods via a 22-mile loop of multi-use trails, modern streetcar, and parks – all based on railroad corridors that formerly encircled Atlanta. When completed, it will provide first and last mile connectivity for regional transportation initiatives and put Atlanta on a path to 21st century economic growth and sustainability. The Atlanta BeltLine is wiping out blight with 33 miles of multi-use trails along a historic rail line that encircles the city’s core. The ring of infrastructure is boosting environmental awareness in a metropolis that has been better known for suburban sprawl than parklands. 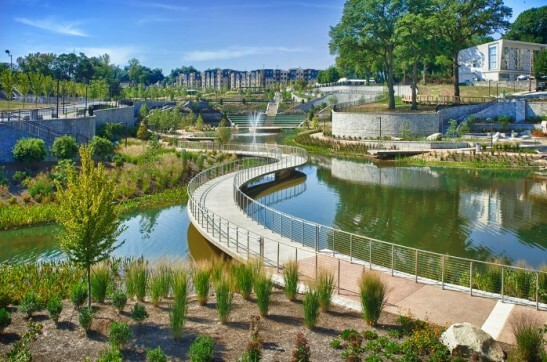 Although other cities are turning abandoned tracks into greenways, the US$4.8 billion project connecting 45 neighborhoods offers unique lessons on urban renewal. The Beltline work–and the new network of restorative and revitalizing organizations that is forming around it–is boosting environmental awareness in a city that used to be better known for its traffic jams and sewage-polluted streams. Efforts to clean up 1,100 acres (450 hectares) of contaminated brownfields and plant more than 3,000 indigenous trees and grasses are bringing back biodiversity not seen in decades. One major reason for the increase in biodiversity has been the native forest created under the supervision of Trees Atlanta, which has planted 19 acres (8 hectares) of indigenous trees and grasses around the abandoned tracks. Ten more acres of reforestation are planned for next year. “It has been challenging to meet all the wants of communities,” says Greg Levine, the organization’s co-executive director and chief program officer. Local residents like the green space, Levine says, but some prefer it to be manicured, while others want more native plants to attract wildlife and pollinators. Establishing a meadow to provide an established pollinator habitat usually takes about three years. Levine says Trees Atlanta and the city have agreed on a solution to mow along the edges of the path a few times a year, keeping the trails clear with an intentional edge, which helps satisfy most everyone. Goats are also used to munch on the nonnative kudzu for environmental and economic benefits. 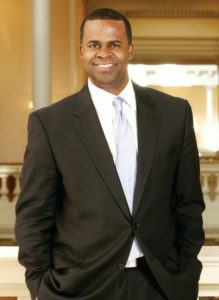 Atlanta is also discovering that going green can save money. The city was planning to build a $40 million concrete vault and tunnel system to store stormwater in the Fourth Ward. Every time it rained flooded sewers sent pollution into local streams, and the city had already paid the federal government more than US$19 million in fines for its cracked and broken sewer system. 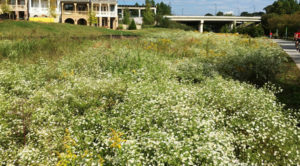 Atlanta Beltline, Inc. (ABI) stepped in to work with city officials to develop a better way to deal with storm water and sewage. The plan was to build a park bordering the Eastside Trail that recycles stormwater for a lake, fountain and waterfall. ABI saved the city at least $15 million in stormwater infrastructure costs with its innovative design for the Historic Fourth Ward Park (as reported by REVITALIZATION in this 2016 article). Former bus repair facility now a 6-acre urban farm. 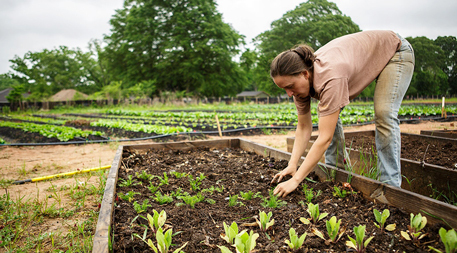 Photo credit: Atlanta BeltLine, Inc.
BeltLine designers also transformed an old bus repair facility with underground fuel tanks into a 6-acre (2.4-hectare) urban farm. They cleaned up arsenic-stained soil and excavated buried garbage to revitalize the ground. Now, urban farmers produce an abundance of cucumbers, tomatoes, carrots and other vegetables that feed a neighborhood unaccustomed to fresh produce. The rest is sold at the nearby Ponce City Market, which itself is a great example of the 3Re Strategy: repurposing, renewing, and reconnecting. restorative development. It was once an abandoned department store that has now been revitalized into a thriving shopping and food court that serves as the commercial anchor of the BeltLine, to which it has been conneected. In 2014, Ponce City Market began to reopen the fully renovated Sears, Roebuck & Company building, restoring its prominence as a vital landmark in Atlanta’s burgeoning Old Fourth Ward. Linked directly to the Atlanta BeltLine, and situated across from Historic Fourth Ward Park, our iconic stretch of Ponce de Leon Avenue is a major part of the redevelopment movement at the crossroads of Atlanta’s most established neighborhoods. Aerial photo courtesy of Ponce City Market. At the heart of Ponce City Market is the marketplace itself, a ﬂexible space to gather, eat and shop. In the Central Food Hall, artisan chefs and local purveyors ﬁll an authentic market with the design, food, and ﬂavors of Atlanta. From morning coffee to lunchtime shopping and date-night dinners, the Central Food Hall is a daily gathering place and culinary destination, year-round. Retail shops and offices add to the life, color, and culture of Ponce City Market and surrounding neighborhoods. Residents of the Flats apartments in the upper ﬂoors of the east and west wings are just a few steps or an elevator ride from workplaces, shopping, the Central Food Hall, and direct access to the BeltLine. From its landmark location in Old Fourth Ward, Ponce City Market has become a connecting point for the exciting mix of adjoining neighborhoods, and beyond—including Virginia-Highland, Midtown, Inman Park, Poncey-Highland, Morningside, Candler Park and Druid Hills. Ponce City Market is focused on building community connections, and has incorporated a pedestrian network, public green spaces, and access to the Atlanta BeltLine corridor—all within the revitalized historic property. As a community hub, Ponce City Market adds the in-town convenience and comfort of highly-desirable retail around the Central Food Hall, as well as exceptional Flats apartments and Class-A loft office space. Proctor Creek Greenway. Rendering courtesy of the Kaizen Collaborative. Yet more progress: On August 17, 2017, Mayor Kasim Reed broke ground on the Proctor Creek Greenway, a seven-mile bike and pedestrian trail spanning from Maddox Park and the BeltLine’s Westside Trail to the Chattahoochee River. 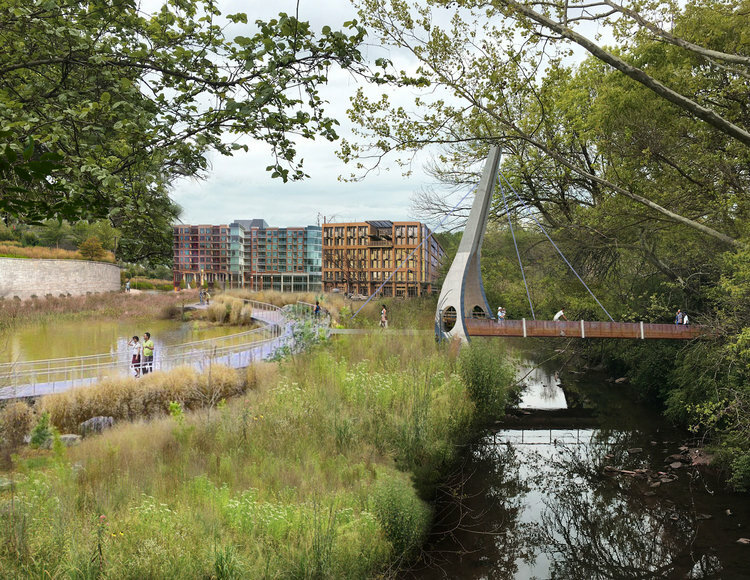 The completed Proctor Creek Greenway will add 50 acres of linear park and 400 acres of greenspace to the Atlanta area, not to mention an important new connection that adds to the Beltline’s value. Proctor Creek pedestrian bridge from MARTA station. Rendering: the Kaizen Collaborative. The Reed administration has made revitalizing Proctor Creek and its surrounding area a top priority. In November of 2015, Mayor Reed signed an agreement with the U.S. Army Corps of Engineers authorizing a three-year environmental feasibility study to address the water quality, flood risks, ecological habitat restoration and stream bank remediation of the Proctor Creek Watershed. Of course, there’s always some trouble in every paradise when big changes are afoot. Along the Beltline, trouble has arisen from the same dynamic afflicting urban redevelopment all across America: weak public leadership in the face of powerful private real estate developers. The BeltLine was supposed to do things differently. Ryan Gravel’s original vision for the Beltline made affordable housing a key component of the plan. As a result, Atlanta BeltLine, Inc. promised some 5,600 units of affordable housing. But a new investigation by the Atlanta Journal-Constitution reveals that–not only is the agency far from meeting its goal–but it is largely to blame for the lack of affordability. 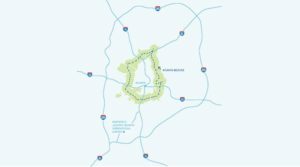 More than 2,000 affordable workforce housing in the Atlanta BeltLine Planning Area including utilizing Atlanta Housing Authority and Georgia Department of Community Affairs resources and funding. Restoration of that affordable housing dream might actually be on the way. 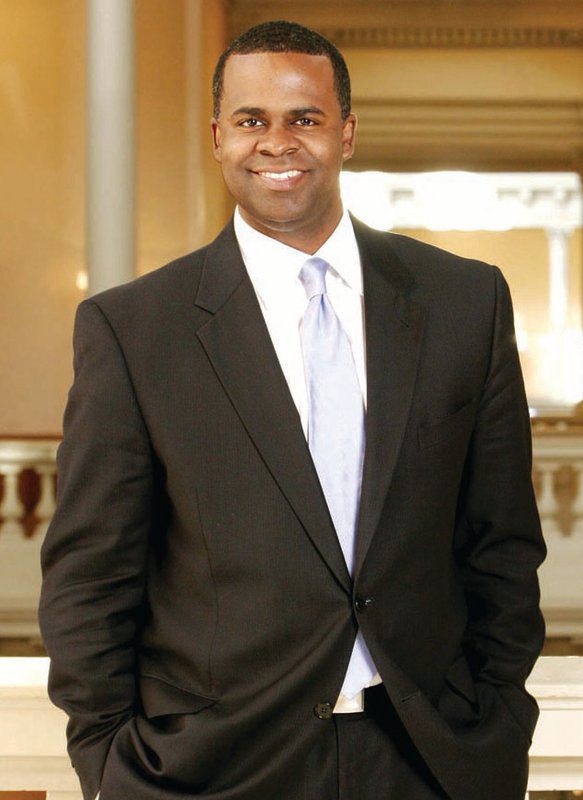 On July 26, 2017, speaking at the Atlanta Commerce Club, Mayor Reed indicated–not very subtly–that a leadership change was in the making at Atlanta BeltLine Inc. In response to an attendee’s question about affordable housing along the BeltLine, Reed said there was going to be more funds available to improve equity along the corridor. Let’s hope ABI can restore the dream before it’s too late. The Beltline can, and should, become a model for metropolitan areas worldwide. After decades of being ridiculed as one of America’s worst-planned (or even unplanned) cities, Atlanta can’t afford to squander this opportunity to raise the bar by repurposing, renewing, and reconnecting its assets on such a grand scale. See Ensia article by Judith Moen. See Ponce City Market website. See July 13, 2017 Atlanta Journal-Constitution article on broken affordable housing promise. See July 28, 2017 Atlanta Business Chronicle article about possible leadership change at ABI. See Emerald Corridor Foundation page on Proctor Creek Greenway. 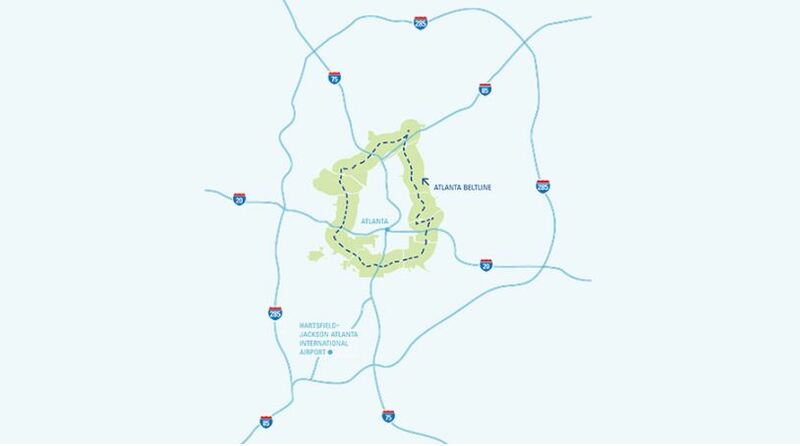 See Proctor Creek Greenway Trail Implementation Report.